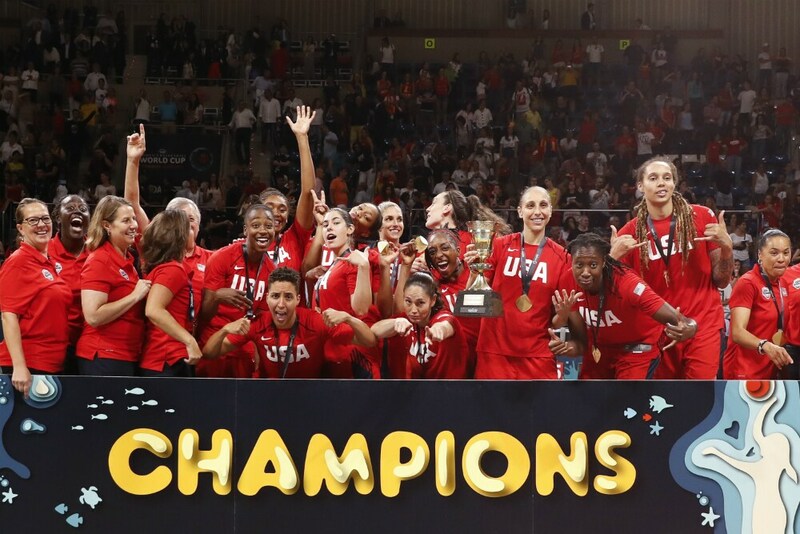 The US Women's National Team celebrates after winning their third straight FIBA World Cup. 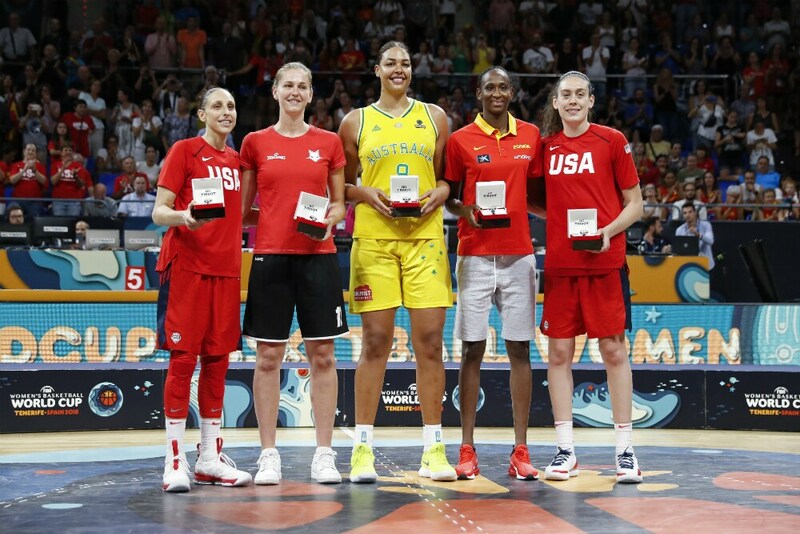 Diana Taurasi, Emma Meesseman, Liz Cambage, Astou Ndour and Breanna Stewart were named as FIBA's All-Star Five. 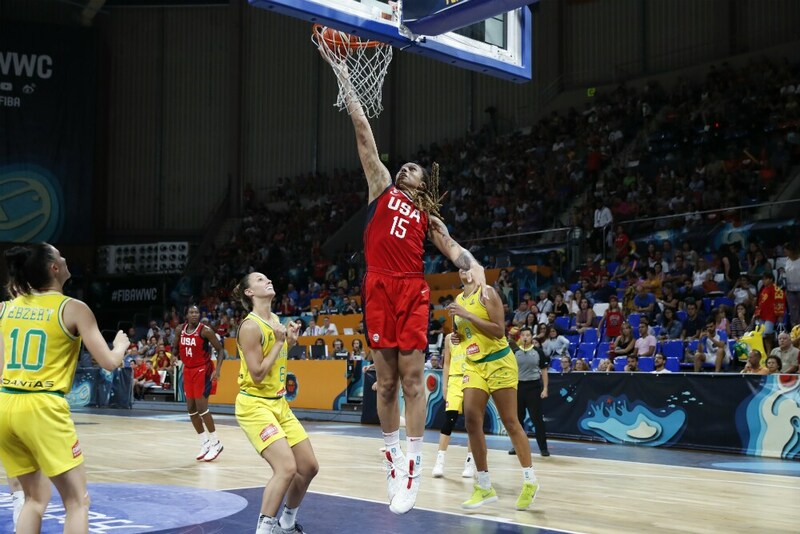 Brittney Griner shoots the ball for USA during the FIBA World Cup Final. Griner had a game-high 15 points. 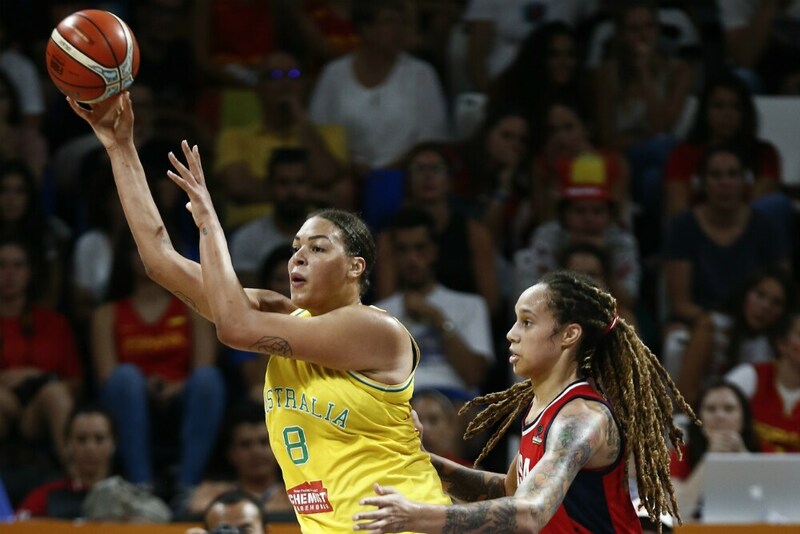 Liz Cambage passes the ball for Australia during the FIBA World Cup Final. 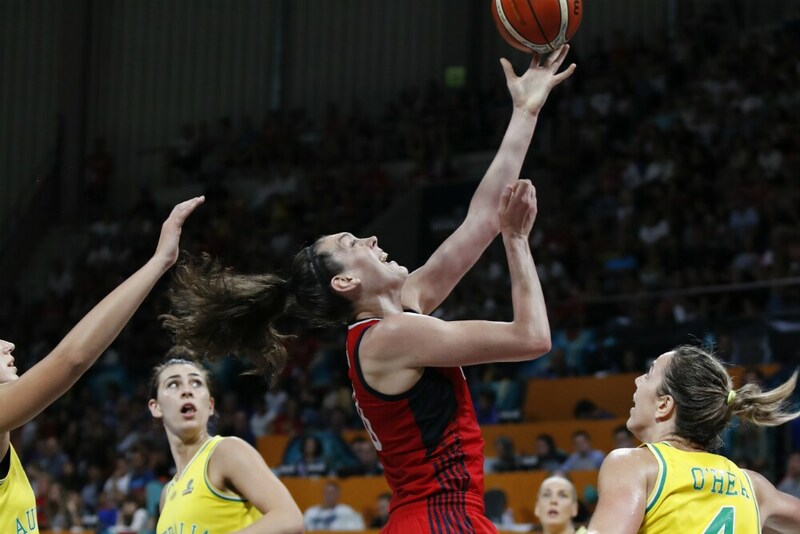 Stewart goes to the basket for USA in the FIBA World Cup Final. Stewart had 10 points and 8 rebounds in the team's victory. 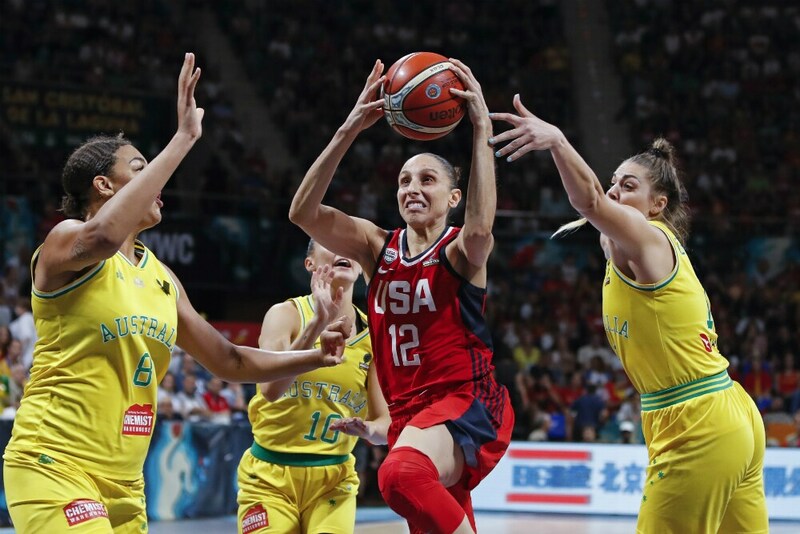 Taurasi rises up to the basket during the FIBA World Cup Final game. Taurasi had 13 points and 4 assists in the victory. 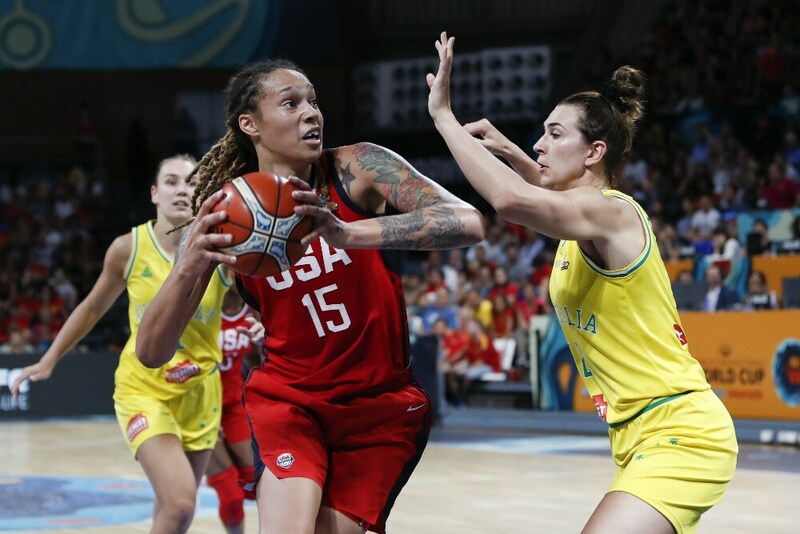 Griner handles the ball during FIBA World Cup Final play. 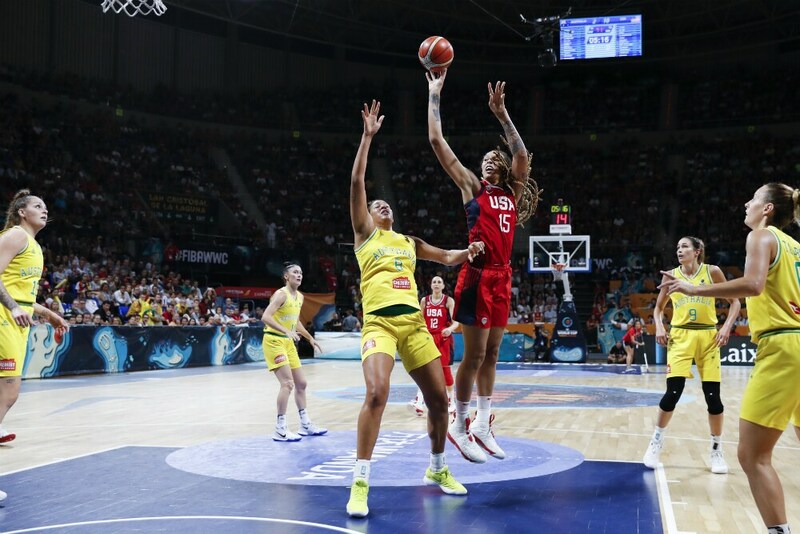 Griner drives to the basket during the FIBA World Cup Final. 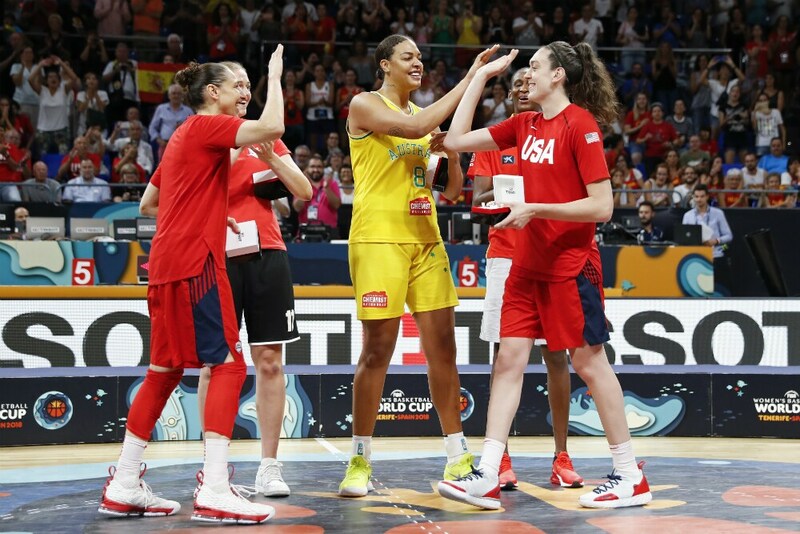 Liz Cambage high fives Breanna Stewart after USA won the FIBA World Cup Final against Australia. 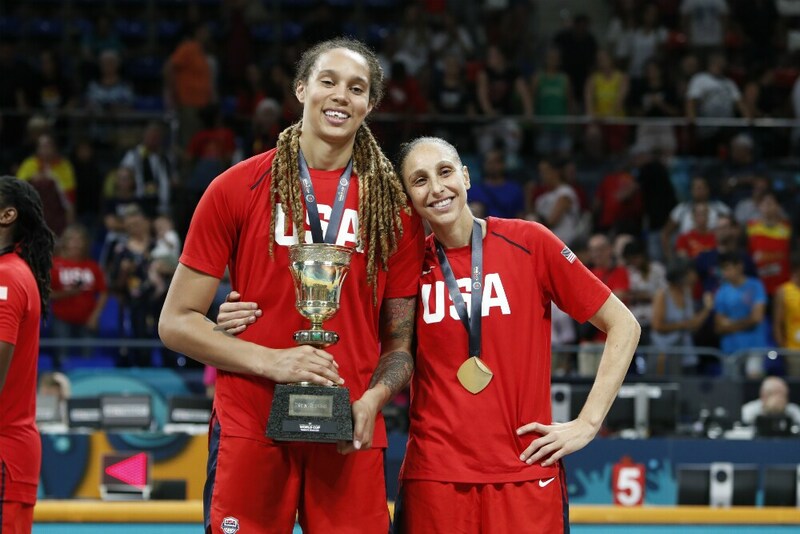 Griner and Taurasi smile after winning USA's third straight FIBA World Cup. 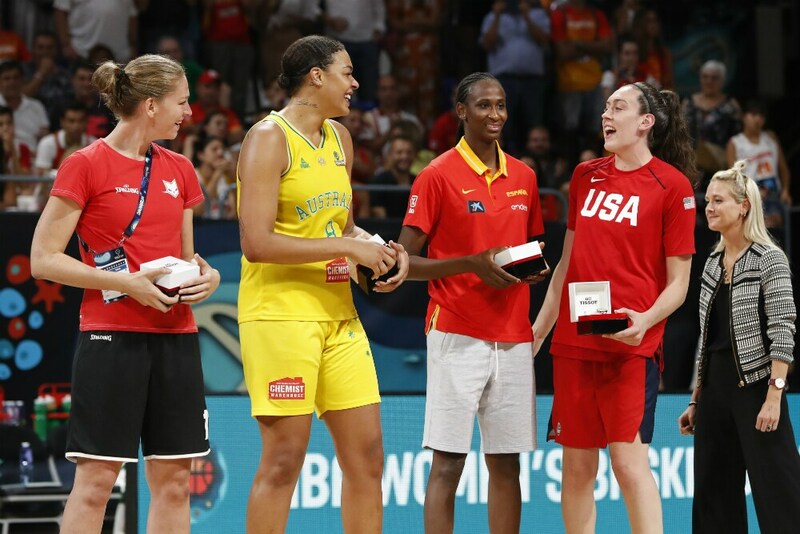 Liz Cambage and Breanna Stewart laugh after the FIBA World Cup Final alongside Emma Meesseman and Astou Ndour. 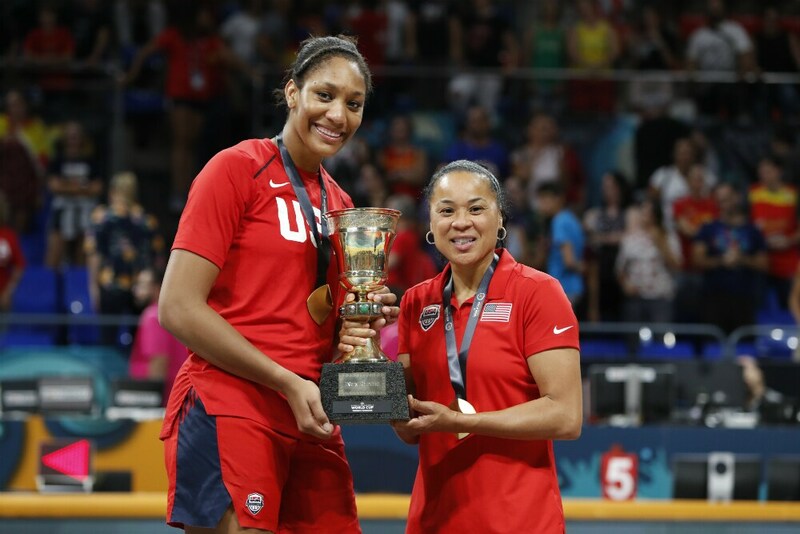 A'ja Wilson and Dawn Staley hoist the championship trophy after USA won the FIBA World Cup. 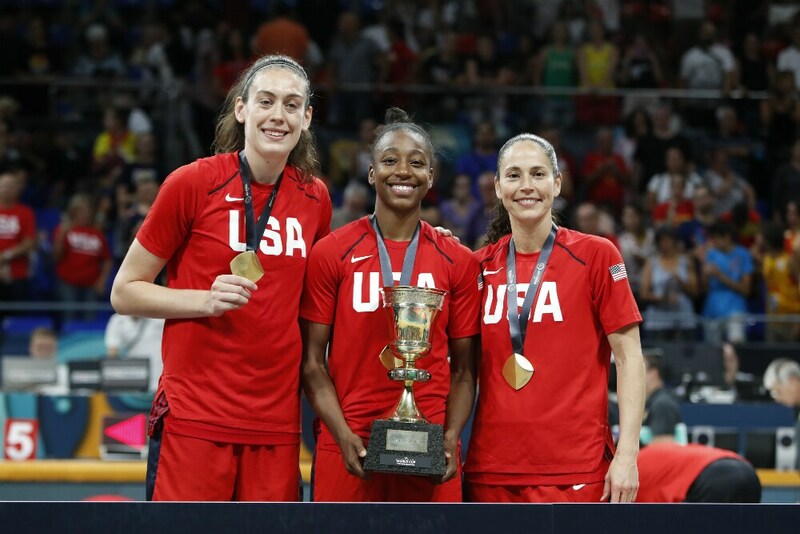 Three members of the Seattle Storm pose with their gold medals after winning the FIBA World Cup. The trio competed shortly after winning the WNBA Finals with the Seattle Storm. 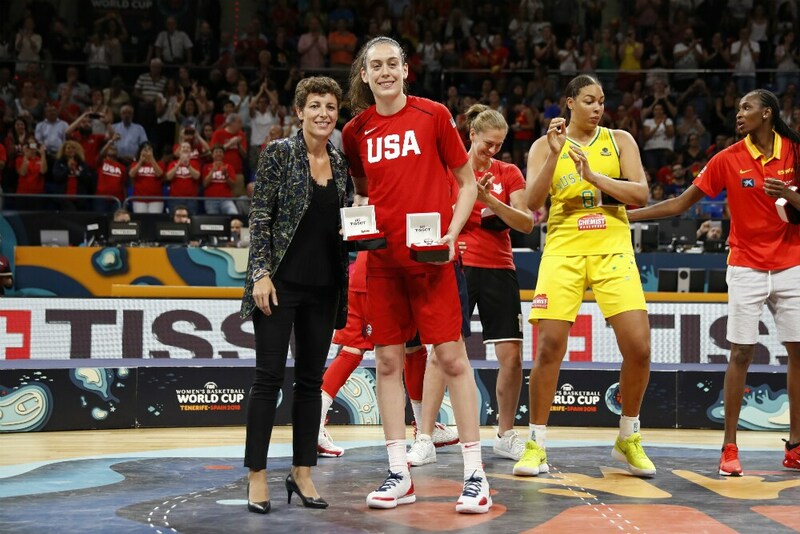 Breanna Stewart adds another trophy to her collection after winning the FIBA World Cup tournament MVP. Stewart also won the 2018 WNBA MVP and the WNBA Finals MVP . 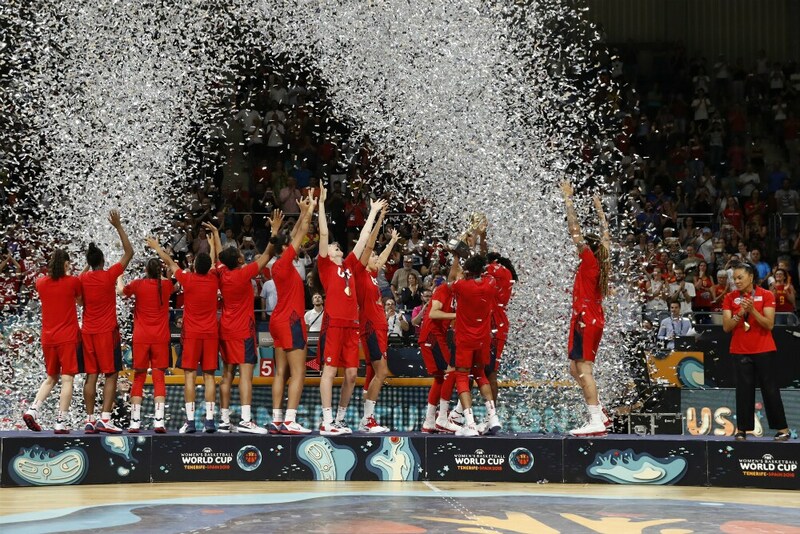 USA Women's National Team celebrates after winning their third straight FIBA World Cup, automatically earning a bid to the Tokyo 2020 Olympics.